A ballboy in 1993, and a first time champion in 2006. Every year since then, Roger Federer has reached the final of the Swiss Indoors in Basel, Switzerland (11 consecutive years). Afterwards, he has thrown a pizza party with the ball-kids as well, win or lose. Sunday afternoon in front of his hometown crowd, he was a winner. The Swiss maestro dominated David Goffin, who came into the final having won 43 of his last 45 matches. Get the latest news. Follow @FedererFan07. Federer broke immediately, then surged ahead to take the opening set 6-2. The 23-year-old Belgian started off better in the second set, staying level with the Swiss, but not for long. The Swiss broke for 3-2 and never looked back. Behind 19 winners and winning 11/13 points at net, Federer defeated Goffin 6-2 6-2 in just 51 minutes. His strong serving continued as well, winning 82% of points on his first serve and 93% of points on his second serve. 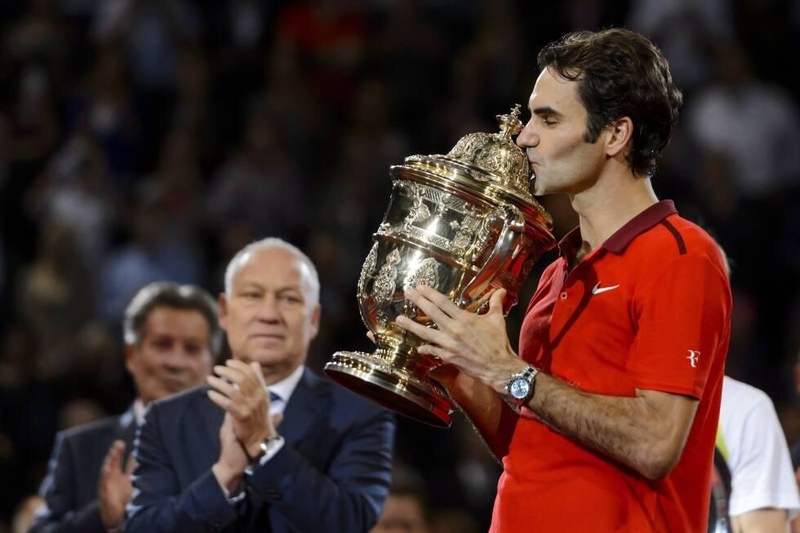 With a 6th title in his hometown of Basel, Federer has won six different tournaments at least six times (Dubai, Halle, Wimbledon (7), Cincinnati, Basel, London World Tour Finals). The Swiss star takes his 82nd career title to the final tournament of the season, the BNP Paribas Masters (Paris Bercy). Sunday’s title keeps Federer in the hunt for year-end world #1, as he is only 490 points behind Novak Djokovic. This week’s BNP Paribas Masters (Paris Bercy) is next on schedule. Watch full coverage on FedFanTV.